What Is So Bad About Calcium Channel Blockers? She was concerned that one of her medicines was giving her an irritable bowel and she was getting frustrated because of the stomach upset that was becoming more frequent. The medicine in question was a calcium channel blocker. This drug has been shown to increase the blood flow and available oxygen to the heart, while also relieving the workload or stress the heart is under. She was taking a long-acting version to treat high blood pressure and had been on it for some time. 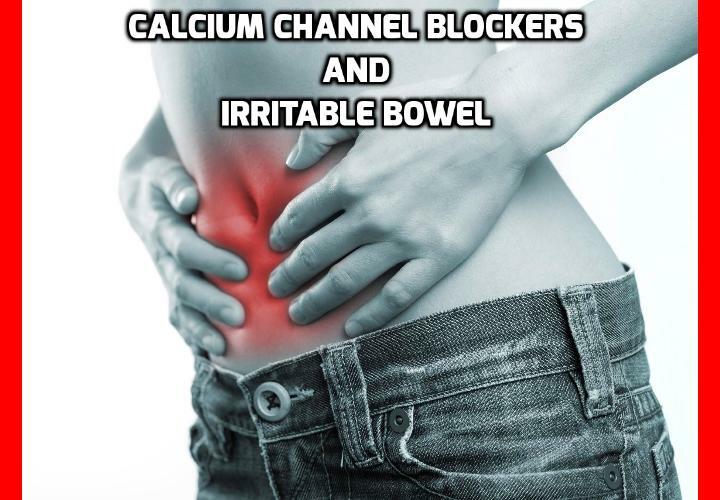 Calcium channel blockers are also used to treat specific types of heart failure and also some migraine conditions, so these types of drugs are very widely used. Many have seen relief from their cardiac symptoms while using them, but at the cost of introducing a host of side effects. Even though she had been taking her prescription for a number of years, she was surprised when she started in with the stomach upset since it seemed to be a relatively new symptom. Her assumption at the time was that she had gotten hold of some bad food. Then when it persisted, she thought maybe she had gastroenteritis. But as the weeks dragged on and the stomach pain and constipation persisted, she wondered if it could be due to medications. She was already experiencing occasionally low heart rates and passing dizziness, which she understood was a known side effect, but the pain was a new symptom altogether. Gastroesophageal Reflux Disease, or GERD, is a known side effect of calcium channel blockers. So is constipation. Both of these symptoms are painful, and pain increases a person’s blood pressure. She said she felt like she was causing high blood pressure by treating high blood pressure. There was also a concern that she was showing the early signs of osteoarthritis and osteoporosis, and she had always been told not to take a calcium supplement because of the calcium channel blocker. Similarly, grapefruit is also on the “no” list, as the “grapefruit effect” occurs with this drug in a similar way as it interferes with statin absorption. Frustrated and worried, she went to her doctor to see if he could reconcile the pain, supplement and medication quandary with which she was faced. After that there was a discussion of timing… when to take which pill, how long to wait before the next, which ones required a full stomach, which ones couldn’t work together, etc. It was apparently more than she was able to process and she left the doctor’s office angry, frustrated, and still in pain. We hear stories like these so many times and it is frustrating every time we hear it. While the stories are all different, they resonate with one common theme, which is dumping more medicine to undo side effects of medicine that is used to treat preventable (in many cases) or naturally treatable diseases. Our advice to her was not exactly what she wanted to hear, but it’s the only thing that safely works to resolve all the issues she was having. That is basically to march back into the doctor’s office with the list of complaints and this time the list of goals. The goals being specifically, not to have to take more pills and to resolve all the conditions in a natural way, where possible. It was a tough conversation because she had already decided the doctor wouldn’t listen to her. But she pressed on anyway, citing that she was not going to take the GERD medication, didn’t want laxatives, and wanted to come to some agreement regarding the current dose of her calcium channel blocker. He was apparently glad she went this direction and had a lot of feedback for her about ways to get the blood pressure under control, and referred her to a dietician who could help her to get the bowel irritations resolved using diet and supplements that wouldn’t interfere. The diet plan was also more concentrated on bone health, so that helped to get on the right track with that problem as well. While we don’t have the details yet on how she’s doing, I did want to write about our correspondence so far, mostly because the point can still be made that if you suspect that your medications are causing side effects that you are not willing to live with, take the bull by the horns and talk to the doc. You might be able to find a new treatment plan that is much easier (and safer) to live with. For natural, drug-free ways to conquer high blood pressure, acid reflux, and irritable bowel syndrome that are easy and safe, click on the links here or have a look at the guides in our library, listed on the right side of the page. What can Terribly Happened if You Have HDL Cholesterol? How Best to Drop Cholesterol Level Easily without Diet Change? Are there Really Direct Link between Cholesterol Level and Death? Why High Cholesterol is Responsible for this Deadly Cancer? Next PostNext What is the Difference between IBS Pain and Appendicitis?